Your mouth is a gateway to the rest of your body, and what happens there has a direct effect on what happens throughout all of your systems. When that bacteria from an infected tooth sneaks into the bloodstream, it can wreak havoc on your overall health. If you do not seek immediate treatment when you suspect that a tooth infection has spread, there is a chance that it could kill you. In 2007, this happened to a 12-year-old boy in Maryland. He could have had a simple $80 tooth extraction. Instead, a delay in treatment allowed the infection in his tooth to spread to his brain. After two brain operations, he finally passed away. Of course, that is an extreme case, but it serves as a warning to anyone who may be tempted to ignore signs of a tooth infection. 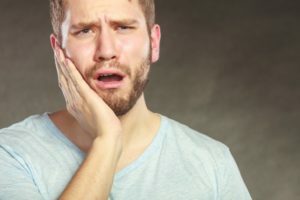 If you see your emergency dentist when your toothache in Huntsville is in its earliest stages, you may be able to save yourself from a trip to the local ER or urgent care clinic. After taking a look at the problem, your dentist may suggest that you undergo a root canal, which will remove the infection from your tooth and relieve your pain. If the tooth is badly damaged, you may need an extraction instead. Following your treatment, you’ll need to take some antibiotics to finish fighting the infection. You shouldn’t be afraid to visit the ER if you are unable to contact your dentist. A trip to the ER is also in order if you have a fever, facial swelling, or respiratory problems to go along with the infected tooth. Although the doctors in a medical facility do not have your dentist’s extensive knowledge of teeth and orofacial structures, they can help to fight an infection that has spread beyond your mouth. In extremely urgent situations, they may even perform emergency dental work. A tooth infection is a serious problem. Seeking prompt dental attention could save your life! Dr. Deborah Bishop is an endodontist; she specializes in treating problems that relate to a tooth’s interior, including infections. If you suspect you have an infected tooth and need a root canal, contact our office right away at 256-882-5161.